While specializing in a vast majority of detailed trades in the construction industry, one our favorite pastimes is demo! 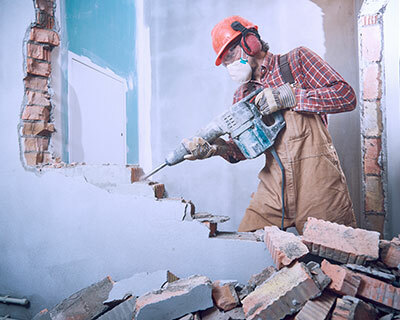 Here at Productive Quality Construction we consider demolition as one of our recess trades, fun, relaxing and quite interesting due to the amount of strategic planning/ plan of attack methods involved while approaching the task. Demolition has been known to get the rep as an easy, thought effortless, simple and fun thing to do but, there is actually quit a bit of risk involved that someone without proper demolition experience may not recognize. While demolition may be a fun "hobby" like task for our company because we have the experience and proper tools it can also be a nightmare to someone looking to simply tear things up without proper knowledge. At Productive Quality our demo staff is not only ambitious but also trained and experienced.